To NASA, Invocon has become a valuable alternative to the products and services from traditional suppliers. Our ability to take a problem rapidly from concept to delivery has allowed Invocon to compete head-to-head with international corporations. NASA has awarded an SBIR Phase II contract to Invocon for WEBDAS™ (Wireless Ethernet-Based Data Acquisition System). 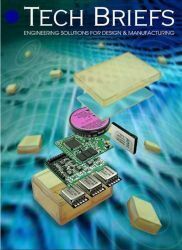 This system enables the use of existing Ethernet hardware and Web-based IT resources for the configuration, acquisition, transmission, and display of sensor data from extremely low-power RF sensors. Click here to learn more about the WEBDAS project. NASA concluded a series of foam impact tests using the Wide-Band Micro-Miniature Tri-Axial Accelerometer Units, (WB MicroTAU), at Southwest Research Institute (SwRI) in San Antonio, Texas. The tests simulated the damage caused by external tank foam debris observed striking Space Shuttle Orbiter Columbia 81 seconds after its launch on January 16, 2003. Click here to learn more about this WB MicroTAU application. Invocon has worked with other NASA departments that do not directly support the Shuttle and Space Station. The project and sponsoring facility are listed below.